The Grape-Nuts-to-Weetabix maker has ordered up a side of sausage and home fries by agreeing to buy Bob Evans. Post shares have been on a roll, but it’s paying a hefty 15 times EBITDA, before trimming any fat. An estimated return of 5 pct is no way to start an investor’s day. 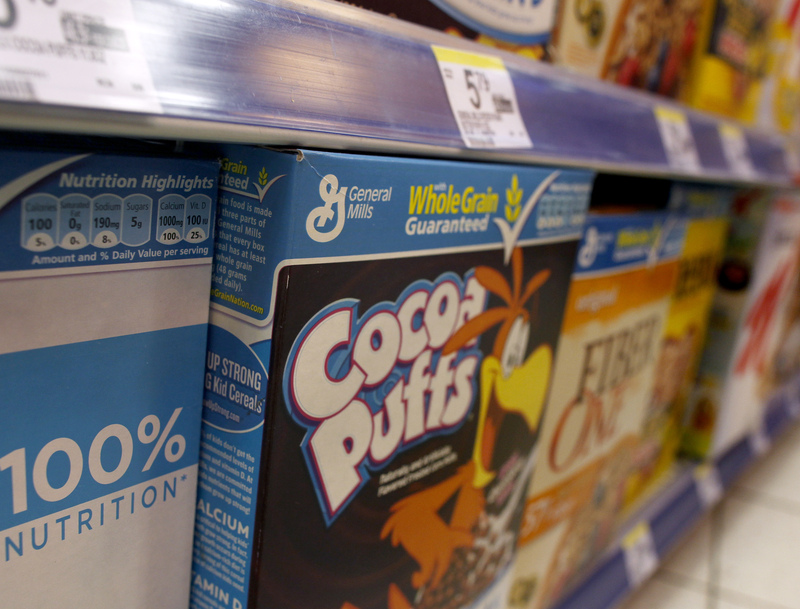 General Mills cereals are displayed on a market's shelf in New York, March 24, 2010. Cereal maker Post Holdings said on Sept. 19 it had agreed to buy Bob Evans Farms for $1.5 billion. Under terms of the transaction, Post will pay $77 a share, a 6 percent premium to the closing price on Sept. 18 and a 15 percent premium to the 30-day volume-weighted average price, according to the companies. Post expects the deal to generate about $25 million of annual cost synergies by the third full fiscal year after it closes. The one-time cost to achieve them is estimated at about $25 million. The purchase price values Bob Evans, which sold its restaurant business in May after being pressured by an activist investor, at 15.4 times EBITDA, the companies said.